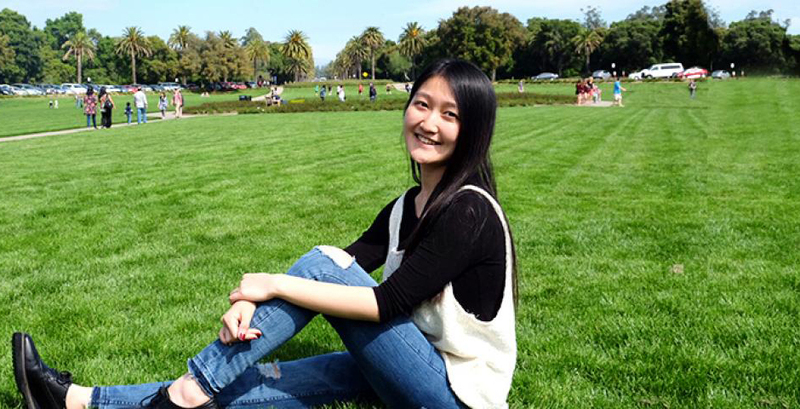 Hu Shuang (Sophie) ‘17 had never left her family or her hometown in Ningbo, Zhejiang province before beginning her journey at NYU Shanghai. Four years later, the business and finance major has studied away in New York and Washington DC, interned at the Hudson Institute in the US and Accenture in Shanghai, and recently accepted a position with PriceWaterhouseCoopers (PwC) management consulting in Shanghai. “Like choosing a career in consulting, I came to NYU Shanghai to free myself from the confines of my past comfort zone and embrace the diverse possibilities of starting a new chapter and making a difference,” she said. The 2016 Rhodes Scholarship candidate admitted that accepting her offer to be part of a brand new university surprised and confused her parents and relatives, who at first asked her to reconsider. Attracted by the English curriculum, all-star professors and the chance to thrive in a globally inclusive environment, Hu arrived at NYU Shanghai determined to lead and learn. Hu became an Ally Week Ambassador in Fall 2014 and joined efforts in holding photography exhibitions, writing slogans, and shooting videos to share the voices of the LGBTQ community. “I was inspired by my Global Perspectives on Society course, which introduced me to broader concepts of gender identity, feminism, and the marginalization of LGBTQ individuals—topics that had never breached the classroom doors of my previous education,” she said. In her sophomore year, Hu co-founded a student initiative called PEER x NYU Shanghai with a Beijing-based NGO to promote liberal arts education in rural China by designing online courses and field teaching for rural teenagers; coordinated a water sustainability advocacy program with World Wildlife Fund China; and organized a forum called “Dialogue: Yangtze, We Care and We Act.” It was crafting these cohort events that led to her winning the NYU 2016 President’s Service Award from President Andrew Hamilton. Studying abroad for a semester at New York and Washington DC during her junior year, the NYU DC Global Leadership Scholar seized every opportunity to further her understanding of China-US relations in the business and financial realm. “I realized that gaining a deeper understanding of China and international relations happens best by communicating in person with scholars from other countries,” she said. Eager to explore the impact of public policy on business and finance in Washington DC, Hu interned at the Hudson Institute and worked at the Center for Open Data Enterprise—a startup founded by a World Bank consultant, where she facilitated a roundtable conference co-organized by the Center and the White House Office of Science and Technology Policy. “The transformation in becoming a global citizen continues beyond campus. It’s always thought-provoking to talk to new people,” Hu said. After gaining experience in education innovation, environment advocacy, financial economics, public policy research and with startups and NGOs—Hu believes her efforts in these endeavors will pay off as she looks forward to her career in management consulting. Hu is volunteering over the summer with the China Children and Teenagers’ Fund, which aims to help Syrian refugee children near the Turkish border.